Earn 145 - 335 points upon purchasing this product. Use 1450 - 3350 points to purchase this product! LIVEREGEN maintains the functional efficiency of the liver. LiveRegen detoxifies and protects liver cells from harmful toxins and supports the liver’s ability to regenerate itself . LIVEREGEN (aka Liv 52) is considered a superior daily health supplement and promotes optimum liver function, it also helps to improve appetite, digestion and the assimilation processes. LIVEREGEN also supports the liver’s function when challenged by toxins. LIVEREGEN does not interfere with medications when taken together which is a benefit it has over Milk Thistle as LIVEREGEN may be used with worry of interactions. LIVEREGEN facilitates rapid elimination of acetaldehyde, the toxic intermediate metabolite of alcohol metabolism, and detoxifies liver cells. LIVEREGEN has been proven useful to the liver in serious liver diseases including, Hepatitis, alcohol liver disease, pre-cirrhotic and early cirrhosis conditions, elevated liver enzymes, fatty liver conditions, protein energy malnutrition, and radiation or chemotherapy induced liver damage. Improves the functional efficiency of the liver. Along with the liver, LIVEREGEN also supports health of the kidneys. LIVEREGEN a Blend of proven herbs with antioxidant properties ensures optimum liver function through the protection of the hepatic parenchyma. LIVEREGEN neutralizes all kind of toxins and poisons from food, water, air and medications, the detoxification process cleans and protect the liver. LIVEREGEN has proved to be useful to the liver in serious liver diseases including, Hepatitis, alcohol liver disease, pre-cirrhotic and early cirrhosis conditions, elevated liver enzymes, fatty liver conditions, protein energy malnutrition, and radiation or chemotherapy induced liver damage. It is safe and effective in protecting the liver. LIVEREGEN restores or improves the functional efficiency of the liver by protecting the hepatic parenchyma and promoting hepatocellular regeneration. LIVEREGEN regulates levels of liver enzymes and optimizes liver function by rapid elimination of acetaldehyde, the toxic intermediate metabolite of alcohol metabolism, and ensures protection from alcohol-induced hepatic damage. 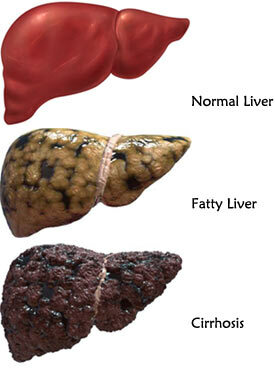 LIVEREGEN diminishes the lipotropic activity in chronic alcoholism, and prevents fatty infiltration of the liver. In pre-cirrhotic conditions, LIVEREGEN arrests the progress of the disease and prevents further liver damage. 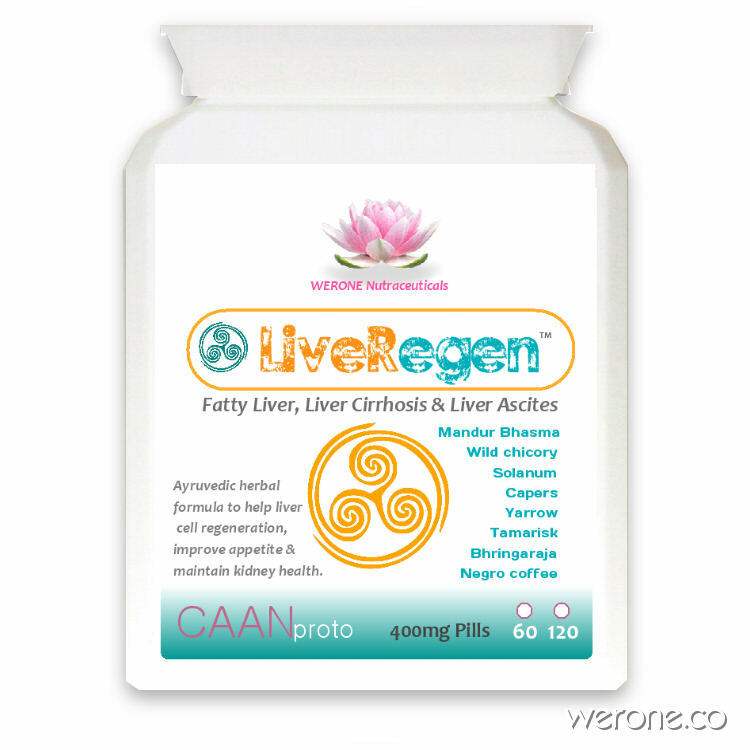 LIVEREGEN is best for a regular health conscious individual for liver support. As a daily health supplement, LIVEREGEN improves appetite, the digestion and assimilation processes, and promotes weight gain. LIVEREGEN is better than milk thistle LIVEREGEN is used for Liver protection liver detoxification, cirrhosis, hepatitis, liver cleansing and liver rejuvenation. Processed in Bhringaraja, Bhumyaamlaki, Punarnava, Guduchi, Daruharidra, Mulaka, Amalaki, Chitraka, Vidanga, Haritaki & Parpata. Preservatives: Methylparaben, Propylparaben, Outer Glaze: Titanium Dioxide. Suggested Use: 2-3 pills with a meal three times daily (adults). Best used with Electrobal+ electrolyte Drink, B Vitamin Complex and increase dark green leafy veg. It is also important to avoid alcohol, sugars, grains, cakes, pasta etc and processed foods containing salts as much as possible which will contribute to insulin resistance which drives fat accumulation in the liver.